TDS HAVE CALLED on Environment Minister Phil Hogan to reverse a funding cut that has led to the closure of an advocacy service for deaf people. Yesterday, the Irish Deaf Society (IDS) announced that it had been forced to close its National Advocacy Service – which is used by 5,000 people – following the decision by the Department of the Environment, Community and Local Government. Speaking in the Dáil this afternoon, Fianna Fáil TD John Browne said: “Those 5,000 people have been left high and dry by Minister Hogan”. He accused the Government of engaging in “a continuous attack on people with disabilities” and other vulnerable groups, such as the sick and elderly. Why does this Government always go after the most vulnerable members of society? Browne said that the decision “defies logic” and will lead to many people finding it “difficult and frustrating to access services”. Echoing comments made by IDS CEO yesterday, he noted that 80% of Deaf adults have literacy levels akin to those of 8 to 9 year olds, compared with 25% of the general population. Hogan was not present in the chamber during the discussion, with Junior Minister Fergus O’Dowd answering questions in his place. 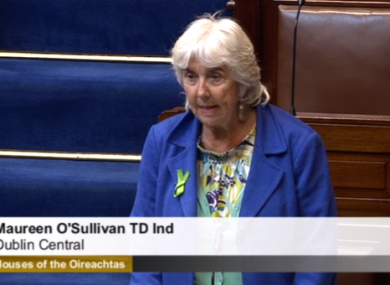 Browne said O’Dowd is “known as a caring minister” and asked him to “have a word with Minister Hogan”. O’Dowd said that he “will make sure Minister Hogan is briefed”, and noted that the Environment Minister was “anxious to make as much funding as possible available”. He remarked that the scheme in question was initially intended to run from July 2011- December 2013, but was extended to June 2014. O’Dowd stated that a new scheme started operating from 1 July, following a Government review in 2013. He added that any organisation who had lost funding could appeal to Pobal. Independent TD Maureen O’Sullivan said that the Government’s decision came after “no analysis, no explanation”. She said that the advocacy group was of vital importance as it helped members of thE Deaf community to progress in education and employment and reduced “their social isolation”. Email “'Left high and dry': TDs call for Deaf advocacy service to be re-opened”. Feedback on “'Left high and dry': TDs call for Deaf advocacy service to be re-opened”.